If you enjoy helping people and want more out of life than a paycheck, we invite you to consider becoming a Munson Healthcare volunteer. Throughout our health care system, hundreds of volunteers give thousands of hours to their local hospital each year — they play a key role in our success, adding a special touch to the quality of care we provide. From direct interaction with patients and visitors to behind-the-scenes office work, volunteers make a difference each and every day. Interested community members work closely with our hospitals’ volunteer services or auxiliary to determine which service would be the best fit based on their interest and ability. A hospital may have specific needs the Health Care Team is looking to meet, such as greeting or visiting with patients. All volunteers receive specialized training and general orientation. Volunteer opportunities are available at Munson Healthcare Hospice, Cadillac Hospital, Charlevoix Hospital, Grayling Hospital, Kalkaska Memorial Health Center, Manistee Hospital, Munson Medical Center, Otsego Memorial Hospital, and Paul Oliver Memorial Hospital. The work is meaningful. The rewards are immeasurable. And the grateful smiles are a nice bonus, too. “I believe it’s an important way of giving back, of helping out, and reaching out to the community and the people around us. I particularly enjoy the people we meet. 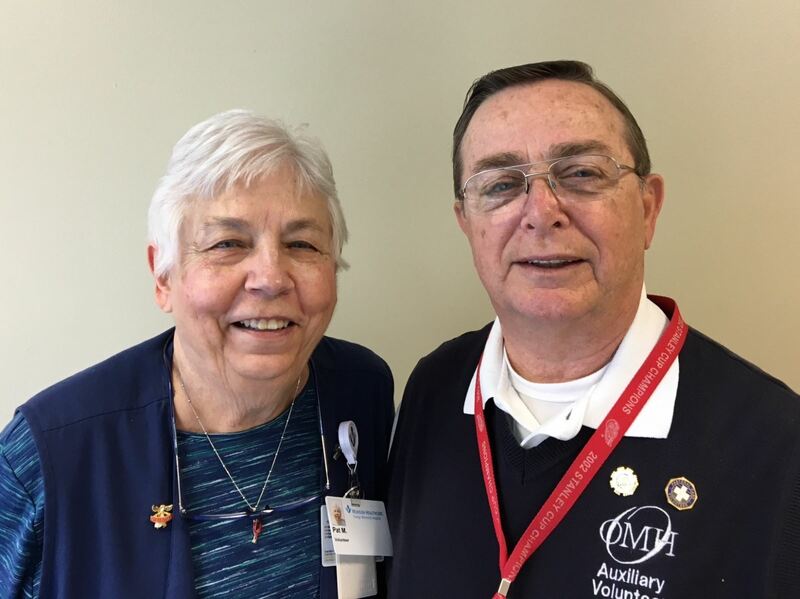 It’s just a way of having something to do and making my life worthwhile.” – Pat Moran, who along with husband Jerry Moran is an auxiliary and gift shop volunteer at Otsego Memorial Hospital.